Take a wild guess who this motorcycle belongs to. Go ahead… Guess! 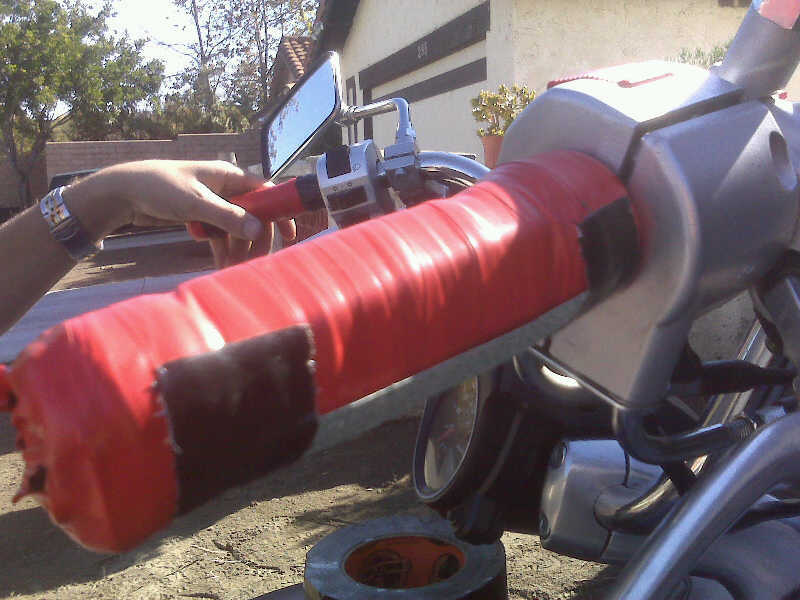 The Dupe rode his bike over to the house today and was complaining about how his gloves were slipping on his motorcycle hand grips. I wasn’t surprised since these were his grips. I went in the house for a while and came back out to find this in their place. The idea here is that the sand paper is rough enough to stop the gloves from slipping. The red electrical tape is there because he didn’t see the black roll sitting right next to it, and the black tape is Gorilla tape. 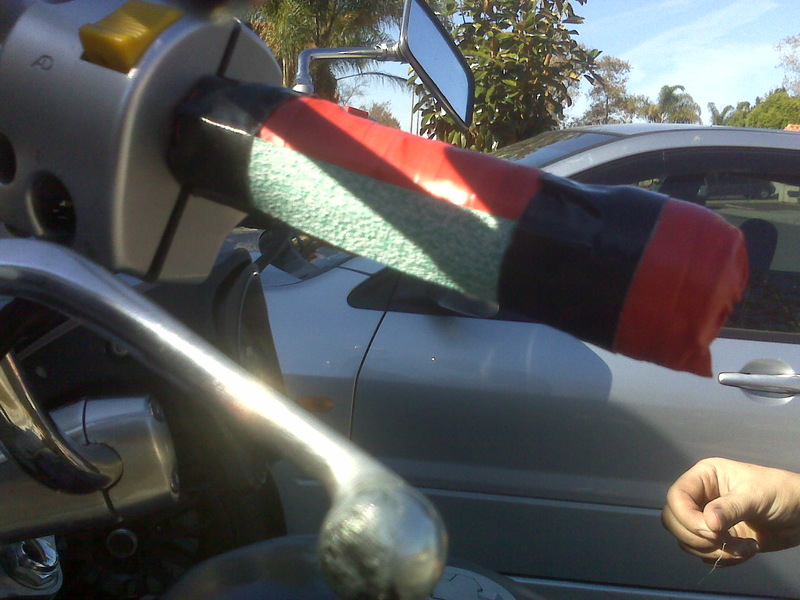 If you don’t know what Gorilla tape is, it’s basically Duck Tape on steroids. The Dupe, I hope we start getting more submissions or someone else around here starts doing some trailer park stuff. 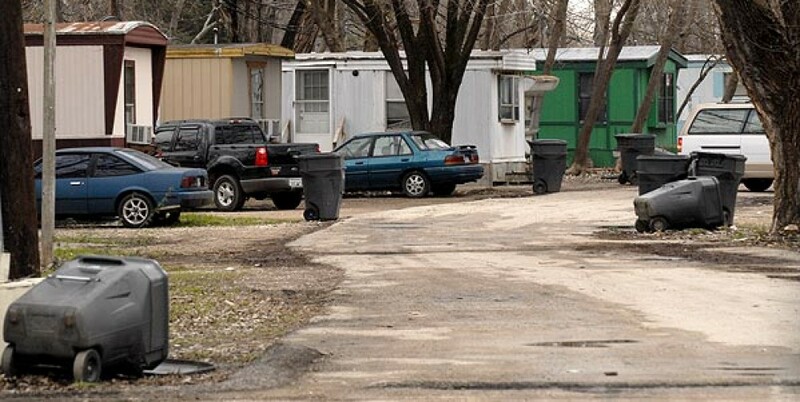 In the meantime, Your Trailer Park Is Showing!